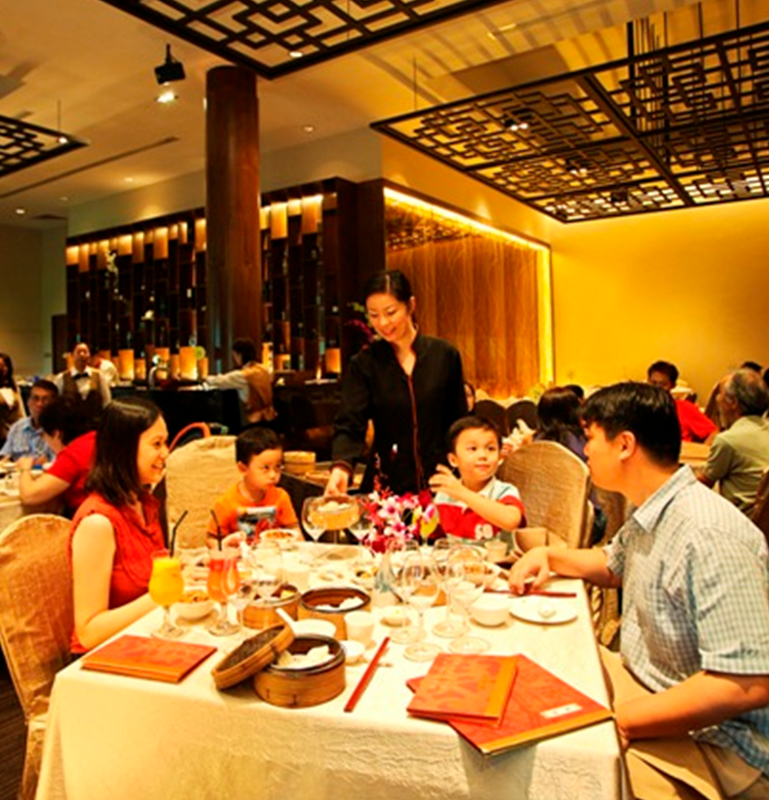 Our Chinese restaurant is well known for its Cantonese cuisine and the wide array of dim sum specialties prepared freshly by the chefs every day. It is no doubt an ideal setting for entertaining family, friends or business associates and to consider hosting birthday, anniversary and company celebrations. For reservations, please call 6760 6616.